Extra unique and warm gift idea for her, wife gift, girlfriend gift. 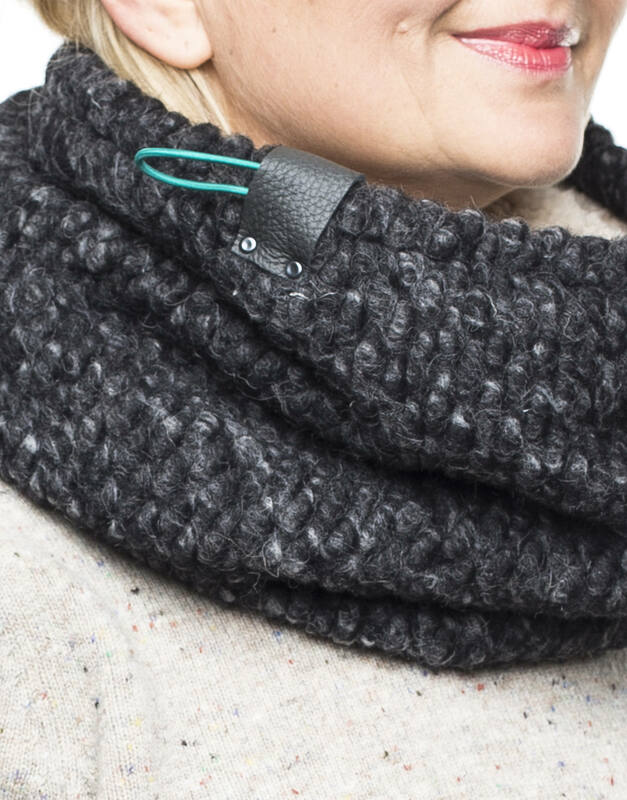 This lovely charcoal grey and and lamb lined cowl scarf comes in a high quality and chunky knit. 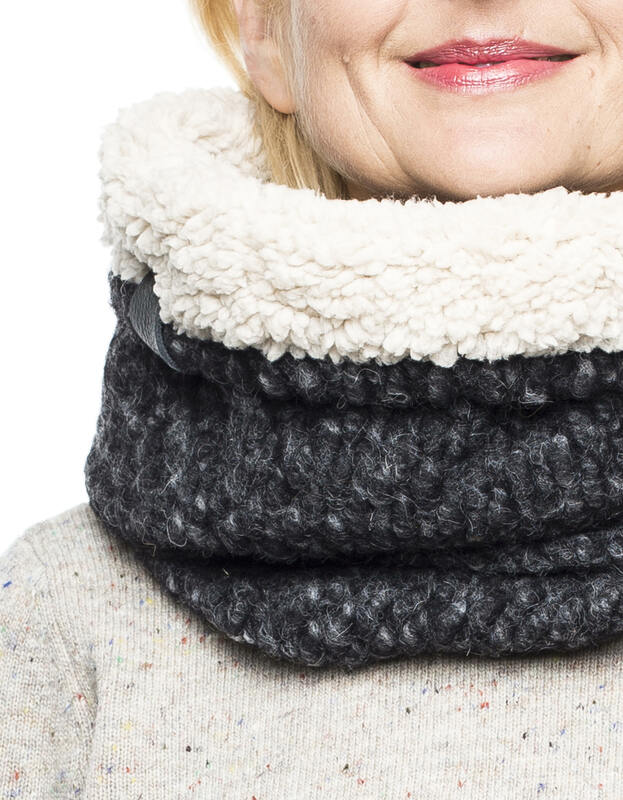 With the thick wool knit and the very warm and soft faux lamb lining, this knitted cowl is designed for the coldest of winters. All pieces are hand made by us here in Berlin, Germany with the utmost special care and attention to quality and detail. 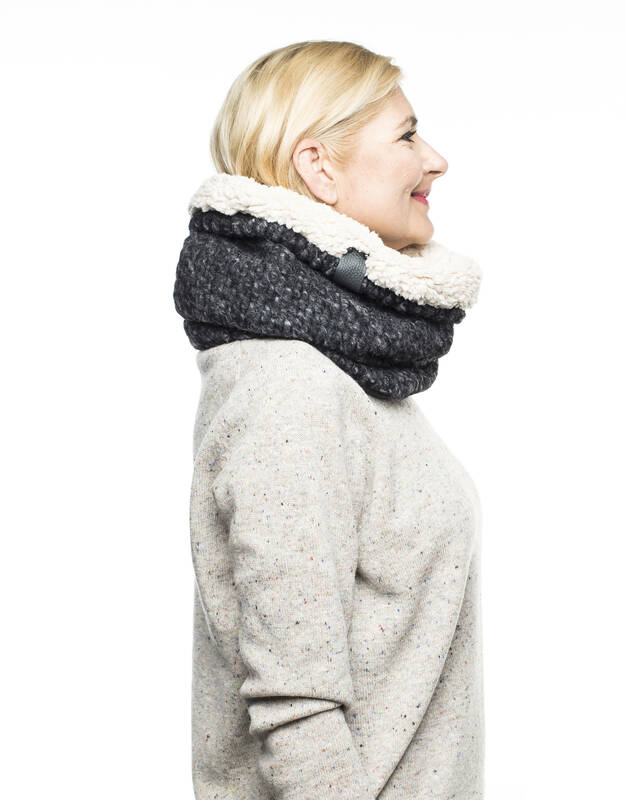 "This is the PERFECT winter weather item for those who don't like the fuss of a long scarf. 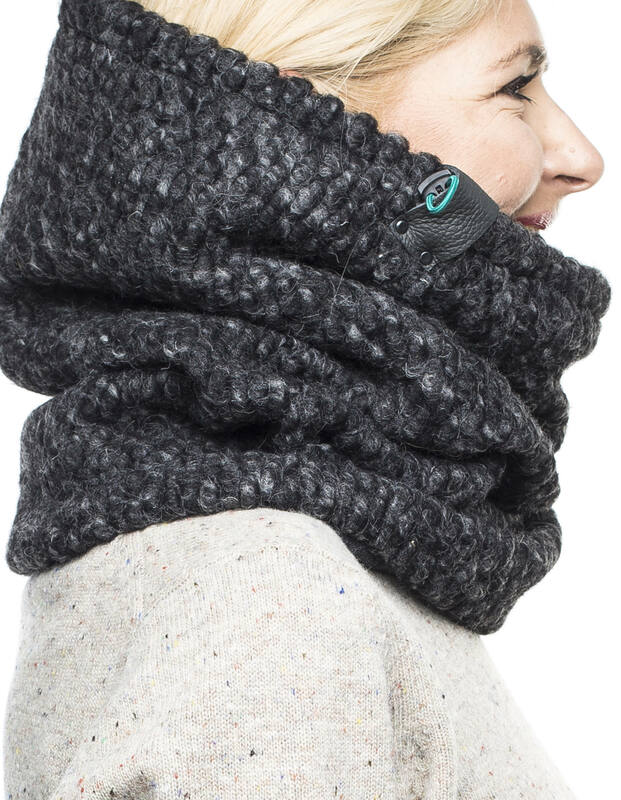 It's chunky enough to warm my neck and keep the wind off my chin and ears, and easily pulls over my head when I need a hood. 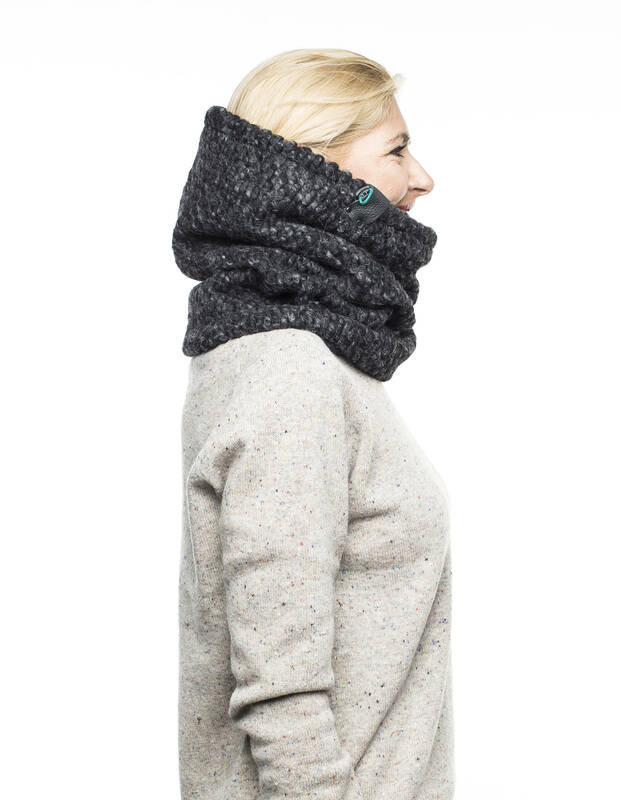 The fleece lined wool is warm and comfortable. 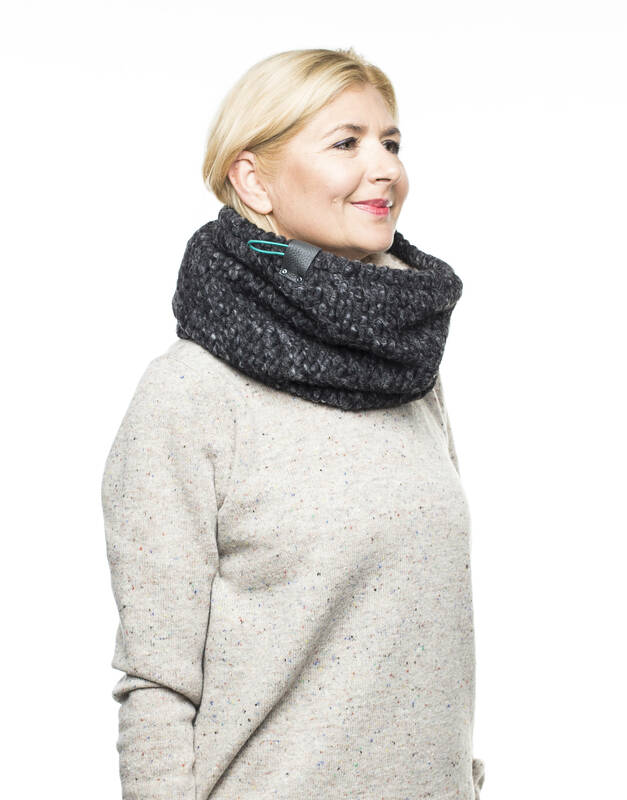 Very clever design: I'm 5'1" with petite frame and it feels great. 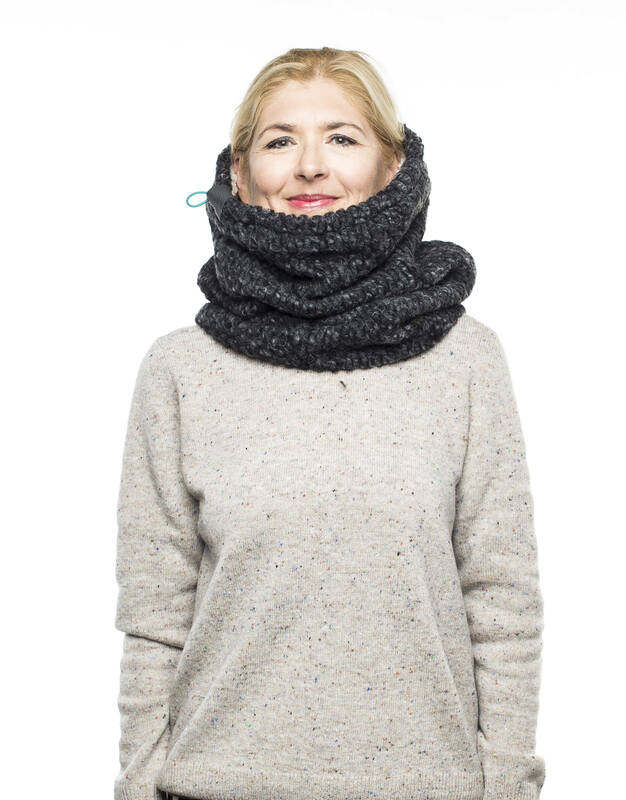 Most scarves and hats are too big for me"
Inner shell: 2 linings: Top half: Luxuriously soft and very warm natural/off white faux lamb. Bottom half: 92% cotton 8% polyester: Very soft and thick black cotton for extra comfort. This can be worn upwards when you fancy a change or in warmer weather. Packaging for orders of single items is 100% paper, eco-friendly and recyclable. All our orders are sent with registered mail. If you have any questions, please don't hesitate to convo us. We are happy to create custom orders or make smaller pieces for children. I have purchased one before but unfortunately it was lost. I knew where to get a new one right away. Great choice of designs, lovely ethical people. Although it took around a month to get it delivered, I can't complain - Christmas time is not the best time to ship gifts across the world :) After the order has been made I found the discount code from the first purchase and Jaffic kindly agreed to refund the discounted amount which they didn't have to do. <3 Danke! 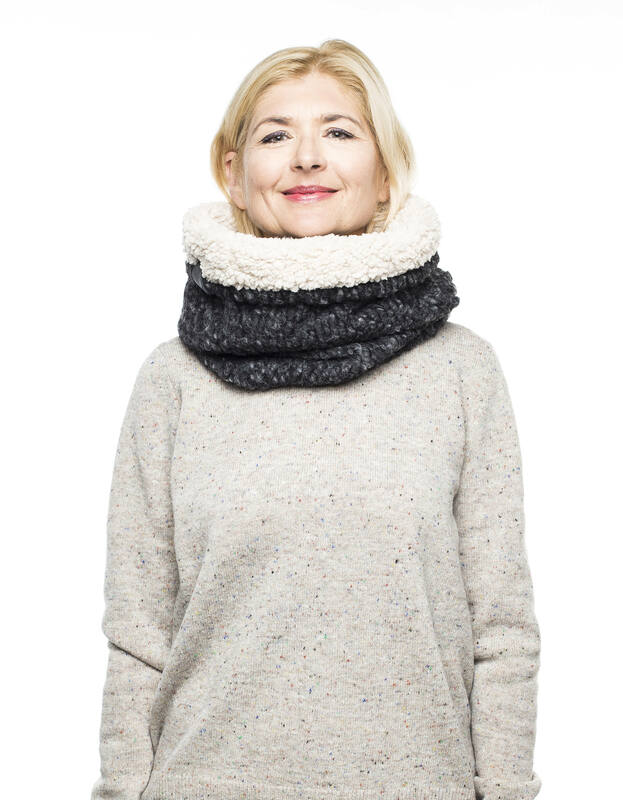 Der Schal hält richtig gut warm. 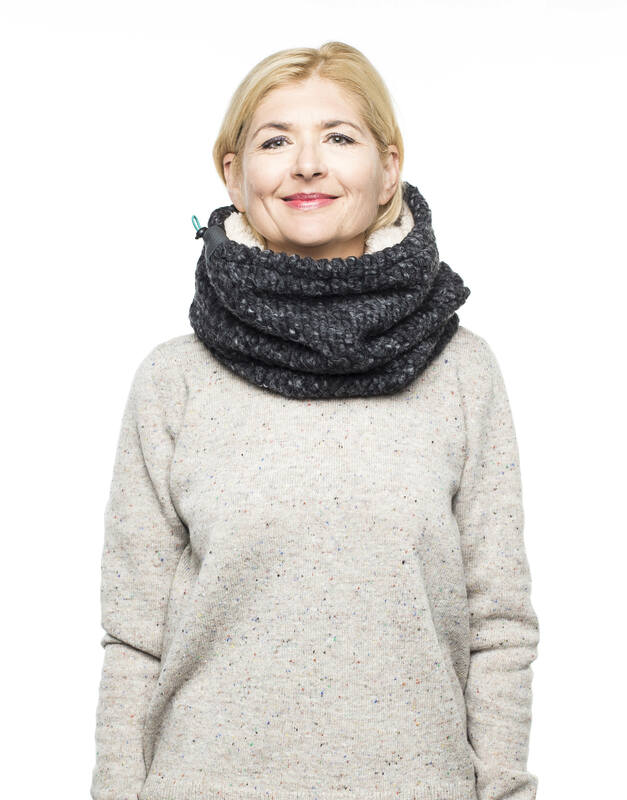 Er kann durch den festen Stoff auch bis über die Ohren gezogen werden oder ganz über den Kopf. Das Band hilft, den Schal in Position zu halten.